I remember when I was a kid and mom would make those special Sunday dinners. My favorite was pot roast. Mom use a chuck roast, but I’ve changed it up to a London broil. There is less fat so it takes a little longer, but the results are just as good (and a wee bit healthier too). It has become a family favorite in my house too. 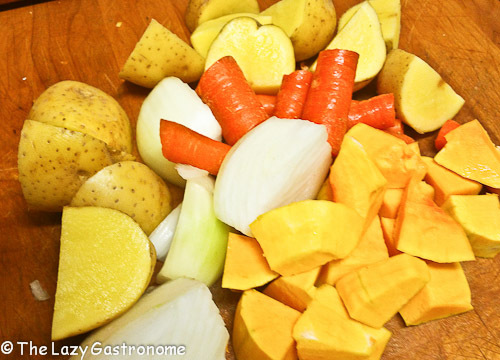 Place the first five ingredients and 1 cup of the stock in a large Ziploc bag or marinating dish and mix well. Add the London Broil and marinate for 2-3 hours or overnight. Remove the beef from the marinade. Heat a large, ovenproof kettle and brown the meat on both sides. Add the marinade and stir to loosen all the meat that stuck to the pan during browning. Quarter the potatoes, carrots and onion and place on top of the meat. Peel the squash with a potato peeler. Cut into cubes, discarding the seeds (or toast them up and eat them) and add the cubes to the pot. 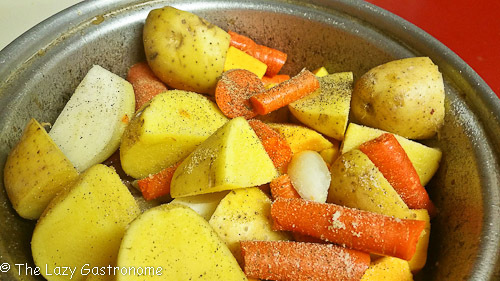 Sprinkle the salt and pepper over the top and then add the remaining ½ cup of chicken stock. Bring to a boil, then cover. Place in the oven and cook until the meat is very tender, about 3 to 4 hours. Serve with in large bowls with the juices as a sauce. 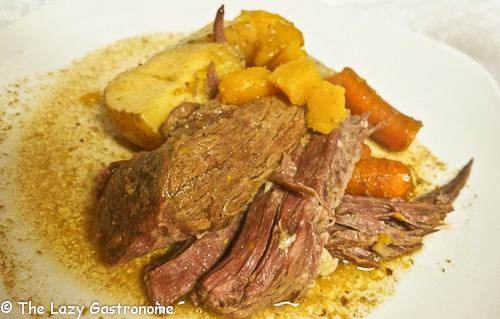 This entry was posted in Beef, Main dish, Stew and tagged beef, family meals, london broil, pot roast. Bookmark the permalink. Looks delicious! 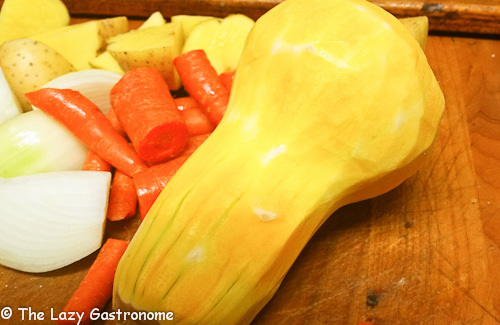 I wish I could talk my kids into eating butternut squash. I love it. They’ll hardly know it’s there in this recipe!! 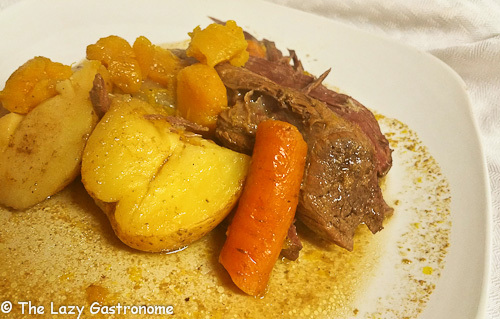 I love a good pot roast, as a kid my grandmother made one almost every week, the carrots were my favorite!! Thanks for sharing on the #OMHGFF hope to see you next week! I love the addition of the squash! Looks like a perfect fall dinner. Thanks so much for sharing and linking up to Friday Favorites!